In this episode: Janet responds to two comments from one of her website articles, “Independent Play: 5 Hints to Get the Ball Rolling”. 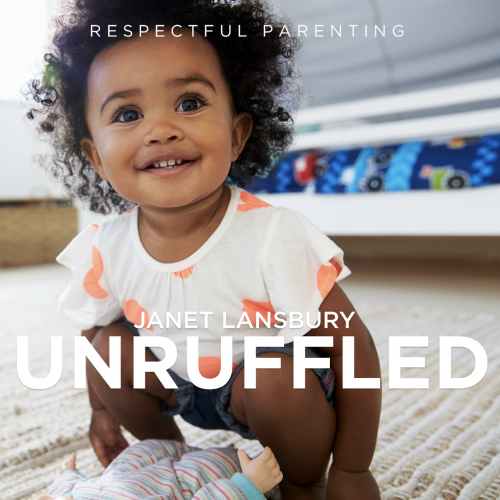 First, a mother’s question about reading and her 13-month-old’s demands for attention when she has other things to do; and then another mom’s critique of Janet’s advice. Both comments bring up helpful points but highlight certain misconceptions about Magda Gerber and Janet’s parenting approach. 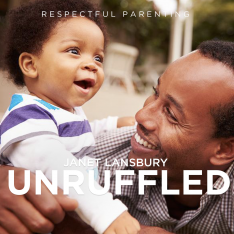 Hi this is Janet Lansbury, welcome to Unruffled. This week I am responding to 2 related comments on my post “Independent Play: 5 Hints to get the Ball Rolling.” This is an article that I originally wrote for eHow. One of the comments is a question from a mother about her daughter’s independent play and how to encourage it and the other comment is a critique. Now, both of these comments bring up some really common misunderstandings about Magda Gerber’s approach to play and also her advice around parent-child bonding and I’d really like to clarify. So that’s why I decided to do a podcast on this topic. Okay, so first of all, it’s definitely not wrong to do that. It’s wonderful to explore books with our children. It’s wonderful to be responsive as this mother is being with the books and responding to her daughter’s interest and not having this big agenda of her own to get through the book and that’s the way to encourage reading and a love of books. So, yes, that is absolutely wonderful. What’s also important to know is that we won’t discourage our child’s interest in books by setting reasonable limits and being honest about our needs and our boundaries in the situation. But one thing about books is that even a child who is in the habit of playing on their own, they discover at some point that their parent really has this sort of vulnerability around books because we’ve all heard, and it’s true, how important books are for our children and reading and we want to encourage this, and… can we really say no to books ever? Is that going to be damaging for our child in some way? And then the 13-month-old is allowed to say “I don’t want you to do that.” Obviously, if it’s a very young baby, we’re not going to want them to get too distressed about it so we’re going to come back in a few minutes and check in and say “I hear you, I’m just gonna be a few more minutes and I’ll be done.” We obviously don’t want to stretch it out a long time with a young baby or even with a 13-month-old because at that age they’re going through separation anxiety sometimes and other things and we want to be sensitive to that. So, I would just do small periods and come back and then be very comfortable with what you’re child is expressing and want to hear it. “Yes, you told me no you didn’t want me to go.” And what we always almost always find when we do come back is that our child just was yelling at us and saying “No, I’m not going to release you now.” They weren’t feeling abandoned, they weren’t feeling crushed, they weren’t feeling unloved and alone and all those places that we can go in our psyche about it. Anyway, back to this mother’s actual question, of course it’s not wrong that she does that, it’s wonderful that she does that. But I think it’s not helpful for her to feel like she’s stuck, that she has to do this. She can do 2 books, she can do 4 books, but she’s got to be clear with her daughter about when she’s going to be there and available to her and when she needs to be doing something else. When children feel that clarity from us and that confidence, then they are able to let go of us, but we have to let go of them first without ambivalence. It’s got to be clear and then we’ve got to welcome them to have a different opinion. This is an approach that’s based on observation and understanding that children feel our presence. That infants feel our presence and they feel when they have our attention. I believe they feel when we’re looking at our phone or whether we’re there and really with them. And I recommend when we are playing with them to be really with them, not just half and half and then if we have to go be on our phone we say “Now, I’m going to go be on my phone for a bit, I’m going to look away.” But to show our child that we’re interested in their explorations, that they don’t need to bring us into their games to get our full attention and get our approval and interest and enjoyment of them, that is a gift. 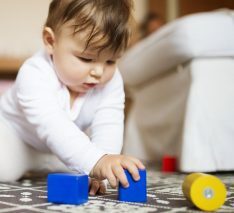 And it’s one that I would never have understood or known about if it wasn’t for Magda Gerber who, along with her mentor Emmi Pikler, observed for thousands and thousands of hours, young children 2 and under behaving naturally, playing freely, making their own choices in play. So, the reason that there was advice about not rolling the ball back in an article about encouraging independent play is because the way we play with a child can help them to enjoy independent play. Giving them our attention, filling them up with that, engaging with them. So if that baby looks at us after rolling the ball we can say “I saw, you rolled that ball and it went all the way over there to the corner.” And now we’re engaging naturally with our child on their terms and we’re teaching them in language in a way that’s meaningful for them because they saw this thing happen and they’re having this experiential learning of these words that go along with what just happened and it’s coming through the relationship that they have with their parent or caregiver. So this is another way of looking at connection and play and it’s taking away all those set ideas that we have as adults about, “Well balls are to be thrown to each other and …” We’re very limited in our ways of thinking or connecting as always playing with our child when our child wants to play with us. If we don’t do that we’re not connecting. It just doesn’t work that way, in my opinion and experience. I truly believe that we’d all be happier parents, we would love our job, we would love engaging with our children and playing with them if it wasn’t something that we felt obliged to do. That we were trapped doing and that we were responsible for keeping our child entertained and keeping our child happy all day long and pleasing our child who really is mostly pleased when they are able to go up and down in their emotions and have leaders that are confident in taking care of them and understanding them. Nurturing this incredible gift of self-directed play. So anyway, I do understand this person’s opinion and it does make sense to me but I think she’s seeing this in an extreme way herself rather than the way that I intend to share it.